Miguel is playing a show for iHeartRadio at a secret Brooklyn location tonight, which you had to win tickets to. And if you weren’t one of the lucky ones who got in, you can strema it live on iHeartRadio’s The Beat at 8 PM. The New York Comic Con has come a long way and if it’s still not as big as San Diego, it’s pretty big, and in addition to comics and cosplay, the 2018 NYCC hosts panels on loads of upcoming movies and TV shows, plus podcasts, comedy, music and more. Taking advantage of the NYCC crowd, this show features Ask Me Another bandleader (and popular comedy songwriter) Jonathan Coulton, along with fellow funny musicians Paul and Storm for a night of “music, hilarity and general nerdery,” including a performance of They Might Be Giants’ album Flood. The annual Brooklyn Electronic Music Festival continues tonight with a FIXED party at Good Room with DJ Hell and others, an Output show with Breakbot and others, and more. Cascine Records celebrates its 10th anniversary tonight with this party featuring a good chunk of their roster: New Zealand’s Yumi Zoumi, the folk-tronic Half Waif, the hammock-loving Maria Usbeck, and Au Revoir Simone’s Erika Spring. Bruno Mars begins his two-night stand at Barclays Center tonight, and though Cardi B is unfortunately no longer opening, he’s got another exciting opener instead: Ella Mai, who had a huge breakout with “Boo’d Up” and whose more recent single “Trip” proves she’s got more where that came from. 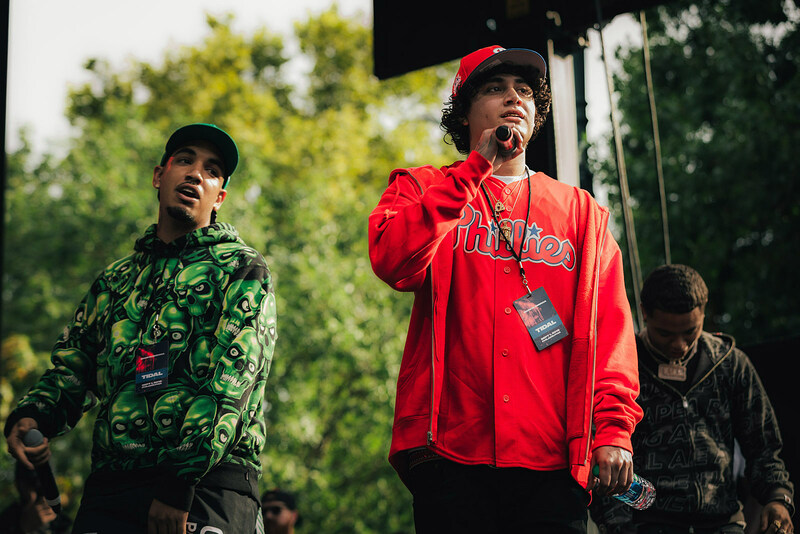 Vallejo rap group SOB x RBE are having a huge year, with a standout song on the Black Panther album and two of their own albums, including the just-released Gangin II. Tonight they’re in NYC for two shows. Christina Aguilera is in the midst of a comeback and going for a more hip hop vibe than usual. Her recently released, first album in six years had a handful of guest rappers and rap producers, and now she’s on her first major North American tour in a decade with support from Southern rap legend Big Boi. This is their second of two Radio City shows. Canadian indie folk band Great Lake Swimmers are touring behind their recently-released album The Waves, The Wake, and making their way to NYC tonight. Former Type O Negative drummer Johnny Kelly’s band Silvertomb just played NYC opening for Life of Agony, and now his band A Pale Horse Named Death with former LOA/Type O drummer Sal Abruscato is playing NYC. Making the bill extra appealing is the reunited Pist.on, who palled around with LOA and Type O back in the day. Cat Power’s anticipated new album Wanderer comes out tomorrow and she’ll be signing copies at Rough Trade tonight. Kip Berman of Pains celebrates the release of his solo debut as The Natvral tonight with a pretty great undercard, including former TPOBPAH bandmates Jen “Showtime” Goma and Drew Citron (also of Beverly), and Toronto band Tallies. DFA Records is presenting this show featuring Delia Gonzalez playing songs from last year’s Horse Follows Darkness to a film made just for this occasion, plus Black Dice’s Eric Copeland will debut songs from his new LP Trogg Modal Vol 1. Comedian Brody Stevens, who you may know from his countless TV and podcast appearances — not to mention his role as Officer Foltz in The Hangover and his very memorable BrooklynVegan SXSW show appearance — is making a rare trip East this fall including this very intimate show. Richard Davies has led The Moles, in one form or another, for 30 years. He’s got a new Moles record out this month and plays tonight with Doug Gillard (Guided by Voices, Nada Surf) and Jane Church (Matt Stevenson formerly of Spires).